There is a piece of history that always accompanies us – the watch! What is on your wrist (if you have one) is the result of thousands of years of research and development - Sumer and Egyptians are among the first to have developed and used watches. Since then every single culture or population in any geography started developing systems and deviced to measure the passage of time. The first watches were leveraging the movement of the sun, water or sand and even the consumption of candles. Modern watches have nothing to do with the initial developments but they are the direct consequences of that work and the many stories and anecdotes that came with it. You might expect that only scientist and “technical” people influenced the watch development but you might discover that even movies had an impact. We could write an encyclopedia with those many stories but we wanted to bring to you only our top 25 interesting facts – from historical facts to curiosities, anecdotes and even simple technical information. 2. The earliest known example of humans measuring the passage of time via the current sexagesimal system (i.e. numeral system with sixty as base) relates to about 2’000 BC with the Sumer. The Egyptian divided the day in two cycles of twelve hours and measured the time with sundials (measuring changes on shadows position over time) for day time and water clocks for night time. Then the ancient Greeks started using the so called clepsydrae that were measuring time with the passage of sand from one container to another. 3. Stanley Kubrick approached the American brand Hamilton in 1966 to ask them to make unique timepieces for his new, futuristic film “2001: A Space Odyssey”. The Hamilton design team provided him with a wristwatch and a desk clock. 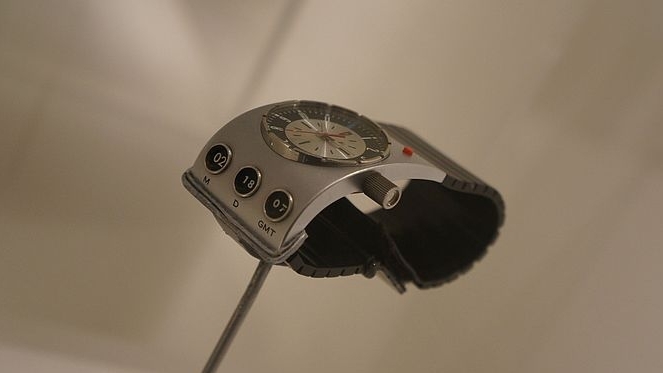 Hamilton at that time had already introduced the first electric watch (1957, VENTURA) and in 1970 it leveraged the association with the movie by producing a functional wristwatch, the Odyssee 2001 and then the Pulsar with an LED display. 4. The pocket watch started to be known in 15th century but really became popular during Tudor times in the 16th century (as seen also in a portrait of King Henry VIII). The first pocket watches had one single hand showing the hours – minute hand started being used only in 17th century. Since then watchmakers competed to produce smaller and smaller watches that could be easily carried and in 1518, François I spent a fortune on two watches set in daggers. 5. Mechanical watches are generally less accurate than those with quartz movements (introduced in 1969). In fact despite their beauty and complexity, the mechanical parts of those watches tend to gain or lose a few seconds over a period of time. This is because they are impacted by many forces (e.g. gravity) and some complications (e.g. tourbillon about 1930) might help mitigating this impact but cannot remove completely all the different factors. Notably also the quartz watches are not 100% accurate and might be impacted by other factors like temperatures and battery life. 7. The Omega Speedmaster was a favorite accessory in space! NASA astronauts wore the watch on their mission to the Moon (7 Apollo astronauts), and both American and Russian astronauts wore it for the first craft meeting of Apollo-Soyuz. 8. Modern wristwatches, didn’t become popular and used by men until during the First World War. For the first time in history, men (soldiers) wore watches around their wrists which allowed them more freedom of movement. At about the same time the first series-production of wristwatch with alarm was done by Eterna. 9. Jacques Cousteau (1910-1997) is credited with part of the success of Rolex Submariner watches via bringing them to the attention of mass audiences in a 1954 documentary ‘The Silent World’. In the film he is seen wearing a Rolex Submariner, the first precision wristwatch developed for use undersea. The Rolex Oyster Perpetual Submariner debuted at the Basel watch fair the year that ‘The Silent World’ came out. Interestingly the first watch with water-resistant (screwed) case seems to be due to François Borgel (about 1880). 10. The first modern chronograph was invented by Louis Moinet in 1816. In 1844 Adolphe Nicole's updated version of the chronograph was the first to include a re-setting feature which now allowed successive measurements, unlike the constantly moving needle in the original chronograph. 11. Tissot introduced the first mass-produced pocket watch as well as the first pocket watch with two time zones in 1853 and the first anti-magnetic watch in 1929–30. The first known wristwatch with a perpetual calendar was manufactured using a pendant watch movement by Patek Philippe (about 1925). About 1930 Emile Borer made the first self-winding wristwatch whose unidirectional rotor swung in a complete circle: the Rolex Perpetual. 12. In the early 1950s a joint venture between the Elgin Watch Company in the United States and Lip of France laid the groundwork for the quartz watch. Although the Lip-Elgin enterprise produced only prototypes of battery operated watches, in 1957 the first battery-driven watch in production was the American-made Hamilton 500. In 1962, the Centre Electronique Horloger (CEH) was established in Neuchâtel to develop a Swiss-made quartz wristwatch, while simultaneously in Japan, Seiko was also working on an electric watch and developing quartz technology. 13. Also known as a magnifying lens, the Cyclops eye is incorporated into the watch crystal and lies above the date window to make viewing the date easier. The concept was conceived of in the early 1950s and often, today, is used to magnify other information on a watch. 14. The Patek Philippe Caliber 89 was the world’s most complicated pocket mechanical watch (till Sep 2015). Crafted in 1989 it’s made from 18-carat gold, has 24 hands, 1,728 components in total and 33 special features, including a thermometer and a star chart. However, the most complicated mechanical watch is made by Vacheron Constantin (model 57260). Boasting 57 complications and a wide array of functions, it contains over 2,800 components, each one hand-decorated by one Master Watchmaker using traditional techniques. 15. A yacht timer (also referred to as sailing watches) is a watch specially designed for sailing races. This watch features a 10-minute countdown to be used for preparing for the start of a yacht race. Some yacht timers offer a different color for the 10-minute countdown and the final five-minute countdown. 16. 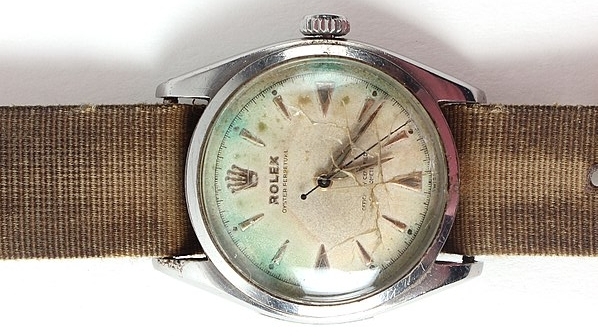 Sir Edmund Hillary famously wore a Rolex during the British Himalaya Expedition of 1953, where he was the first to reach the peaks of Mount Everest. Seven years later in 1960, the US Navy sent a submarine 35,798 feet below sea level. The Rolex watch was attached to the outside of the vessel and survived intact, without losing accuracy by even a second. In this context worth also mentioning the Sinn UX which has a case that can withstand dives down to 12,000 meters and temperatures between -45°c and +80°c. 17. Watches, when displayed in shops, are often pre-set to show the time at ten minutes past ten o’clock or sometimes ten minutes to two o’clock (“Happy Time”). When displayed at that time the hands on the watch face resemble a smiley face. This helps to subconsciously raise the customer’s mood, which subliminally encourages them to make a purchase. 18. The uni-directional bezel found on top-notch dive watches is there as a safety feature. The one-way bezels turn counterclockwise only so that if the watch is accidentally banged in a dive, the bezel will not move clockwise. An accidental clockwise move would mean that elapsed dive time indicated on the watch would be less than the actual elapsed time, which could cause the diver to think he has more oxygen than he actually has. 19. The G-Shock by Casio was the first watch developed and tested to survive a drop from a fourth floor men’s bathroom (ten meter drop). As a consequence of its success many other brands then developed many more watches that resist “extreme” adventures and conditions. 20. Rolex received the very first wristwatch Chronometer awards from the School of Horology in Bienne (1910), and the Class “A” Certificate of Precision from the Kew Observatory in England (1914). To this day, Rolex watches consistently receive more Chronometer Certificates from the Contrôle Officiel Suisse des Chronomètres (COSC), than every other watch company in the world, combined. 21. John Harrison (1693 – 1776) was a self-educated English carpenter and clockmaker who invented the marine chronometer, a long-sought after device for solving the problem of calculating longitude while at sea. His solution revolutionized navigation and greatly increased the safety of long-distance sea travel. 22. The Rolex Milgauss and Omega Seamaster Aqua Terra have been designed to remain reliable and precise in environments with extremely high magnetic fields – environments that a “normal” person would not generally experience but might be useful to certain scientists (e.g. people who work at the CERN). 23. The Seiko Astron is a solar-powered watch and it is the world’s first GPS Solar Watch. The Astron features GPS controlled time zone adjustment, world time functions that recognize 39 time zones via satellite, and a perpetual calendar. Automatic Atomic Time Synchronization from GPS Satellites is one of the best features of this device which have an ultra-Low Power GPS Receiver. This watch is accurate to ±15 Seconds / Month when not automatically synchronizing with the satellites. The Airplane mode is also present to disable automatic synchronization while flying, for frequent flyers. 24. Calculator watches were first introduced in the 1970s and continue to be produced, despite enjoying a heyday during the 1980s. The most notable brand is the Casio Databank series, though watches made by Timex were also popular. 25. 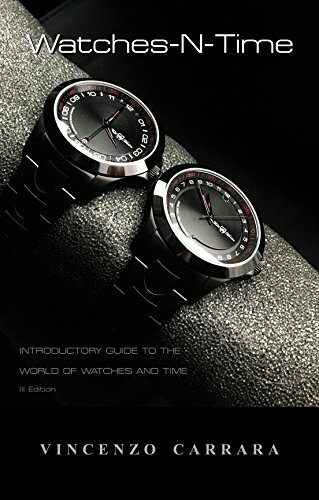 One of the most inexpensive mass produced watch has been introduced by Swiss watchmakers (knows for their precision and expensive watches) – this was the Swatch, released for the first time in 1983. You want one more interesting fact? Among the 24-hour clocks the ones that use the double-XII system are the rarest. Nowadays the only commercially readily available wristwatch with a double-XII system is the Todd & Marlon #YOURTIME 24-hour watch winner of the A’Design Award 2016. Now available in our e-store.